Belkin is bucking a design trend with its new Wi-Fi mesh router, the Linksys Max Stream AC2200. Most companies do everything they can to make Wi-Fi mesh routers look, well, like anything other than a router. They design their enclosures to resemble hockey pucks, or flower vases, or other innocuous objects. And they invariably hide the router’s antennas inside their enclosure, a practice one would assume must reduce the router’s range. Not Belkin. 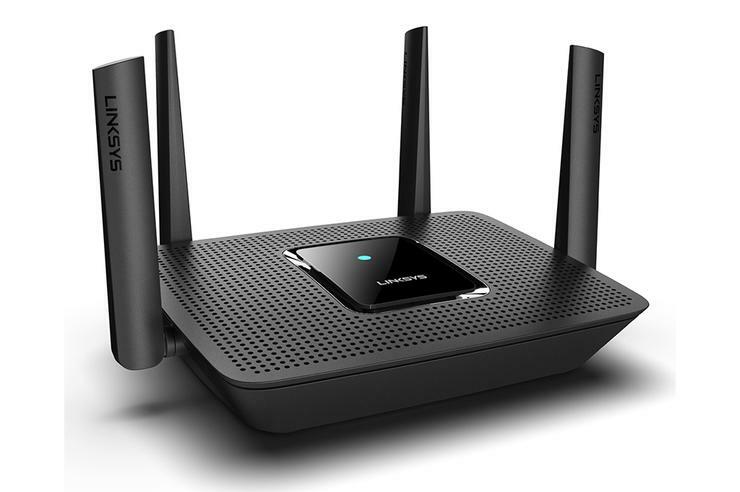 The new addition to its Linksys Wi-Fi mesh lineup looks exactly like a conventional router—specifically, a router from its Linksys EA series of routers—with four blade-style antennas emerging from its flanks. 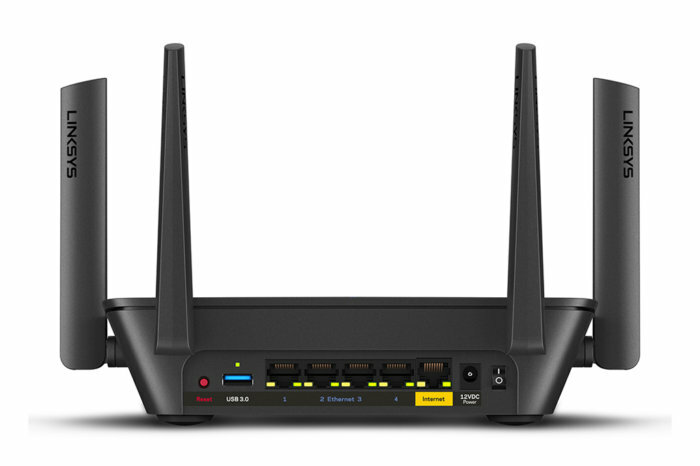 The Linksys Max Stream AC2200 is a tri-band 802.11ac router, operating one wireless network on the 2.4GHz frequency band capable of supporting a data rate up to 400Mbps, and two independent networks on the 5GHz band capable of support a data rate of up to 867Mbps each. As you would expect, there’s full support for multi-user MIMO technology, to serve multiple client devices at the same time. Unlike most Wi-Fi mesh routers, the Linksys Max Stream AC2200 is equipped with a USB 3.0 port and a four-port ethernet switch. Unlike some mesh Wi-Fi systems, the Linksys Max Stream AC2200 will be sold by itself, at an MSRP of $199.99. If you want to add mesh network nodes to expand the range of your network, you’ll need to purchase one or more Linksys Velop nodes (a tri-band Velop AC2200 also costs $199.99). And then you’re back to having networking devices that look vaguely like bud vases. But you might prefer that when you're deploying nodes in the living room or kitchen. Belkin also announced new network security and parental controls software dubbed Linksys Shield, which is designed to prevent children from encountering the seamier side of the internet, and to protect smart devices that connect to the internet via the router from being hacked. This is an optional subscription service that flags sites containing adult, violent, and other unwanted content and allows parents to decide which kinds of sites their children can visit. Belkin says it parental control service will cost $4.99 per month or $49.99 per year and will be available in February.